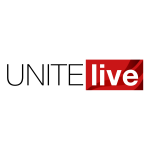 Unite has called for urgent government intervention in the construction industry after figures published by the ONS this week (June 11) revealed that the industry contracted by 3.4 per cent in the three months to April. “The government’s failure to provide proper support to construction has resulted in growth in the industry first stalling and now dropping,” said Unite assistant general secretary Gail Cartmail. “The government needs to establish a coherent infrastructure plan which establishes long-term projects throughout the UK, to benefit all regions. Construction is a key part of the economy and a further contraction in the sector will be bad news for the UK’s economic performance,” she added. “A sensible infrastructure plan is vital for the long-term health of construction and with the correct government policies should benefit other industries including steel, which also urgently needs central intervention and support,” she noted. “Continuing Brexit uncertainty and the fallout from Carillion’s collapse is destroying confidence in the industry, with projects being delayed or cancelled,” she noted.